A complete natural wet dog food - ideal on its own or as a tasty topper to our dry food Wholesome, natural hypo-allergenic dog food. Helps loose bowels and calms itchy, irritated skin and coat. James Wellbeloved pouches are made to the same high standards as our dry food. This means that you can be sure that you are feeding your dog food which is natural, tasty and healthy. We only use lamb as a meat protein source, plus easily digested rice and vegetables to reduce the risk of food intolerance and digestive upsets. We also add extra ingredients such as alfalfa, seaweed and linseed to aid digestion and soothe itchy coats. 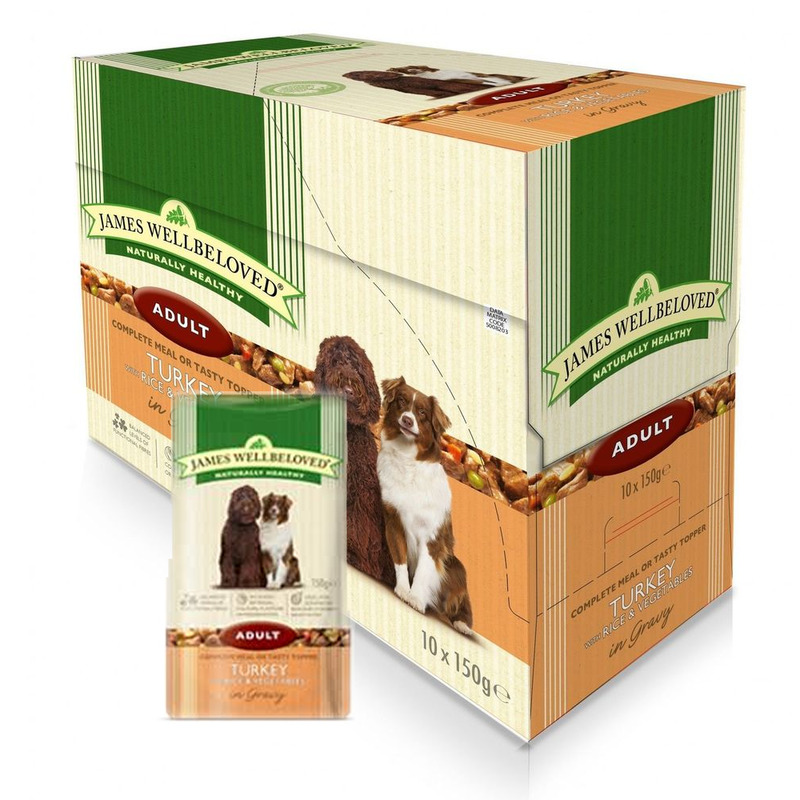 Ingredients: Lamb meat, rice, peas, carrots, sunflower oil, sugar beet pulp, linseed oil, calcium carbonate, seaweed, alfalfa, potassium chloride, tomatoes.150g Pouch James Wellbeloved is a Super Premium Dog Food made to provide the best nutrition needed to keep your dog healthy.